Nothing says Spring like a fresh coat of paint in your home. I don’t know if you noticed or not (touch of sarcasm) but I LOVE Coastal Colors. I said it time and time again that I’m from Long Island so every time I design one of these coastal color palettes is brings me right home. This color palette is from a local client I had in the Ballantyne area of NC after seeing an article I wrote for Ballantyne Magazine on page 32. The coastal colors are so beautiful in the home and literally are the perfect color scheme for homes with open floor plans. 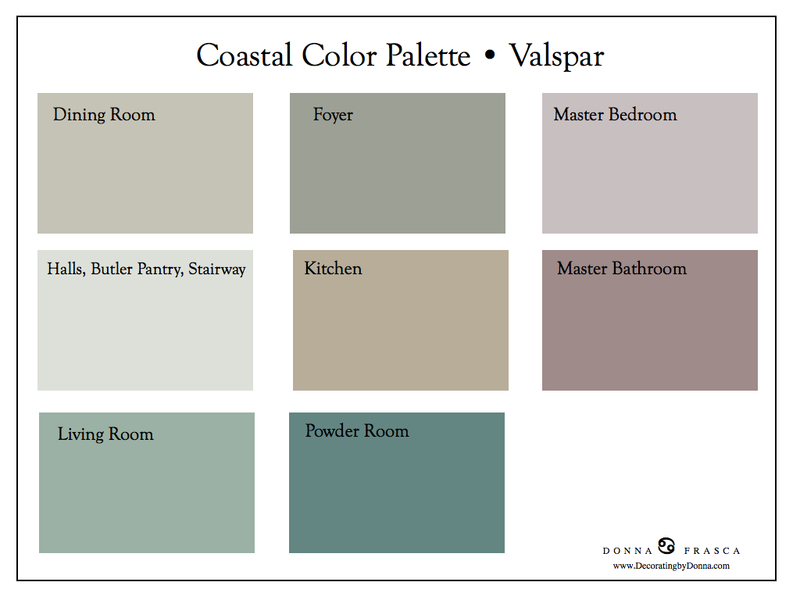 Valspar is the paint company I used this time and such a perfect fit for the coastal because they have such amazing blues and greens – so crisp and clean, not muddy. Want this look for your home? 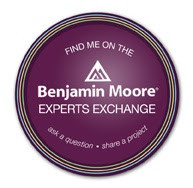 Let me know, and also keep in mind that my Virtual Design service will be perfect for you! This entry was posted in Coastal Colors, spring home improvement, Valspar, Valspar Paint and tagged coastal color, coastal colors, spring home improvement, valspar. Bookmark the permalink. 8 Responses to It’s Spring Home Improvement time! Get Your Coastal Color Palette Ready! In your opinion, can coastal colors include green, and can they be more intense? I have Olivine by Behr in my kitchen and Wood Smoke by Glidden in many main areas. My master bedroom is a very dark blue with lots of white on the walls. I’d like to think of this as coastal but maybe not? Absolutely Jodi! I have a blog post coming out on another website soon about this very subject. You can have a coastal color palette that doesn’t contain blue at all. Green can easily be the main color. Think beach glass, when there used to be an abundance back in the day, and also think about the color you see as the ocean waves are about to turn over, it’s green. There’s green flora that is also a big part of the coastal landscape. I checked your colors and yes they can be considered coastal although the typical look is to be a bit lighter and have blue as the main color. There are many colors on the coast – not just blue and gray 🙂 If you do want a coastal feel for your home with those colors be sure to add some coastal decor and accessories to complete. I love colors coastal include blue. My house is painted by blue. I think blue would help me feel relaxed. Yes but keep in mind, there are other colors that are known for their relaxing qualities, such as green. Blue is considered a cool color where green has a tendency to be warmer. What is the master bedroom color called? I love it!! Hi Marie – that depends on which paint company you want to use. Each company has a similar color. Email me at DecoratingbyDonna@mac.com if you’d like more information. What is the name of the living room color here?? It depends on which paint company you would like to use. This is just a palette I designed by eye but ALL these colors exist in just about all paint decks. You can email me if you’d like for more information.